Neom (styled NEOM; Arabic: نيوم‎ Niyūm) is a Saudi project for a smart and tourist cross-border city. The project is located in the far north-west of Saudi Arabia. It will be constructed in Tabuk. It includes marine land located within the Egyptian and Jordanian borders. It will cover a total area of 26,500 km2 (10,200 sq mi) and will extend 460 km along the coast of the Red Sea. Saudi Arabia aims to complete the first section of NEOM by 2025. The project has an estimated cost of $500 billion. Saudi Arabia aims to raise $300 billion through an IPO of state-owned oil company Saudi Aramco. This IPO was initially planned for the second half of 2018, but Saudi Crown Prince Mohammed bin Salman stated in October 2018 that the IPO will be delayed until "late 2020, early 2021." On January 29, 2019, Saudi Arabia has announced setting up a closed joint-stock company named NEOM with $500 billion. The aim of this company that wholly owned by the Public Investment Fund, the sovereign wealth fund, is to develop the economic zone of Neom. The project is planned to be totally powered by renewable energy sources. The city was announced by Saudi Crown Prince Mohammad bin Salman at the Future Investment Initiative conference in Riyadh, Saudi Arabia on October 24, 2017. He said it will operate independently from the “existing governmental framework” with its own tax and labor laws and an "autonomous judicial system." The initiative emerged from Saudi Vision 2030, a plan that seeks to reduce Saudi Arabia's dependence on oil, diversify its economy, and develop public service sectors. The German Klaus Kleinfeld, former chairman and CEO of Alcoa Inc., and former president and CEO of Siemens AG, will direct the development of the city. Plans call for robots to perform functions such as security, logistics, home delivery, and caregiving and for the city to be powered solely with wind and solar power. Because the city will be designed and constructed from scratch, other innovations in infrastructure and mobility have been suggested. Planning and construction will be initiated with $500 billion from the Public Investment Fund of Saudi Arabia and international investors. The first phase of the project is scheduled for completion by 2025. The Neom project is located in Tabuk, Saudi Arabia in the northwest of the Kingdom, extended along with Aqaba Gulf and 468 km of coastline with beaches and coral reefs, as well as mountains up to 2,500 m high, with a total area of around 26,500 sq. km. Some of the illustrations for the Neom project were taken from the Gardens by the Bay in Singapore, leaving commentators to note: "using an actual shot of Singapore to depict an upcoming construction project in Saudi Arabia is an odd choice." Klaus Kleinfeld was announced as the inaugural director for the Neom project upon its launch by Crown Prince Muhammad bin Salman on 24 October 2017. In 2018, Kleinfeld signed Gladstone Place Partners LLC for "Communications Services" for the Neom project, for a fee of USD $199,500.00 plus expenses USD $45,000.00. On 3 July 2018, Kleinfeld was announced as the new advisor to Muhammad bin Salman from 1 August 2018 onwards. Nadhmi Al-Nasr would succeed him as the new Director of Neom from 1 August 2018. The development works of the project’s first phase Neom Bay is planned to start on the first quarter of 2019 and expected to be completed by 2020. The developments include constructing of the current airport at Sharma which will operate regular commercial flights between Riyadh and Neom. The plan of Neom Bay's developments also involves building of the first residential area in Neom as a part of the phase1. Advisers to Neom, including Daniel L. Doctoroff and architect Norman Foster, were reported to have distanced themselves from the project and the "toxic" Saudi Crown Prince. ^ PROFILE: Who is Nadhmi al-Nasr, the new CEO of Saudi Arabia’s NEOM?, alarabiya.net. ^ "نيوم".. تفاصيل أضخم مشروع سعودي ممتد بين 3 دول سكاي نيوز عربية , نشر في 24 أكتوبر 2017 ودخل في 24 أكتوبر 2017. ^ "Saudi Arabia is building a $500 billion mega-city that's 33 times the size of New York City". Business Insider. February 22, 2018. ^ "Saudi Crown Prince Vows Aramco IPO by 2021, Keeps to $2 Trillion". Bloomberg. October 5, 2018. ^ "UPDATE 1-Saudi NEOM set up as joint stock company run by state fund..." Reuters. 2019-01-29. Retrieved 2019-01-29. 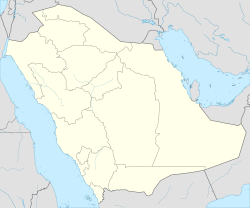 ^ "Saudi Arabia announces creation of Neom Company". Arab News. 2019-01-29. Retrieved 2019-01-29. ^ "Submerged floating bridge wins 'Dream NEOM' contest in KSA". Arab News. 2019-04-13. Retrieved 2019-04-14. ^ "Saudi Arabia Just Announced Plans to Build a Mega City That Will Cost $500 Billion". Bloomberg L.P. 24 October 2017. ^ a b "Saudis set $500 billion plan to develop zone linked with Jordan and Egypt". CNBC. 24 October 2017. ^ "Saudi Arabia Reveals NEOM, its Planned Futuristic Megacity". Inverse. October 25, 2017. ^ "Saudi Arabia's new city, Neom, a mecca for robots". The Washington Times. 24 October 2017. ^ "Saudi Arabia's new super city: Fast facts". Fox Business. 24 October 2017. ^ "NEOM - Frequently Asked Questions" (PDF). ^ "What does Saudi Arabia's mega project 'NEOM' actually stand for?". Alarabiya. 24 October 2017. ^ "NEOM Saudi Arabia Mega-City - Neom Saudi City". Neom Saudi City. Retrieved 2018-03-01. ^ "WHERE IS NEOM? THE UNIQUE LOCATION". NEOM SAUDI CITY. October 25, 2017. ^ a b "Klaus Kleinfeld named adviser to Saudi crown prince, NEOM appoints new CEO". Arabnews. Retrieved 03 July 2018. ^ "Saudi Arabia to start first phase of Neom project". Arab News. 2019-01-16. Retrieved 2019-01-21. ^ "Saudi Arabia gives green light for development of NEOM Bay". english.alarabiya.net. Retrieved 2019-01-21. ^ Bloomberg. "Saudi Arabia to begin building homes in futuristic city Neom". ArabianBusiness.com. Retrieved 2019-01-21. This page was last edited on 24 April 2019, at 04:47 (UTC).